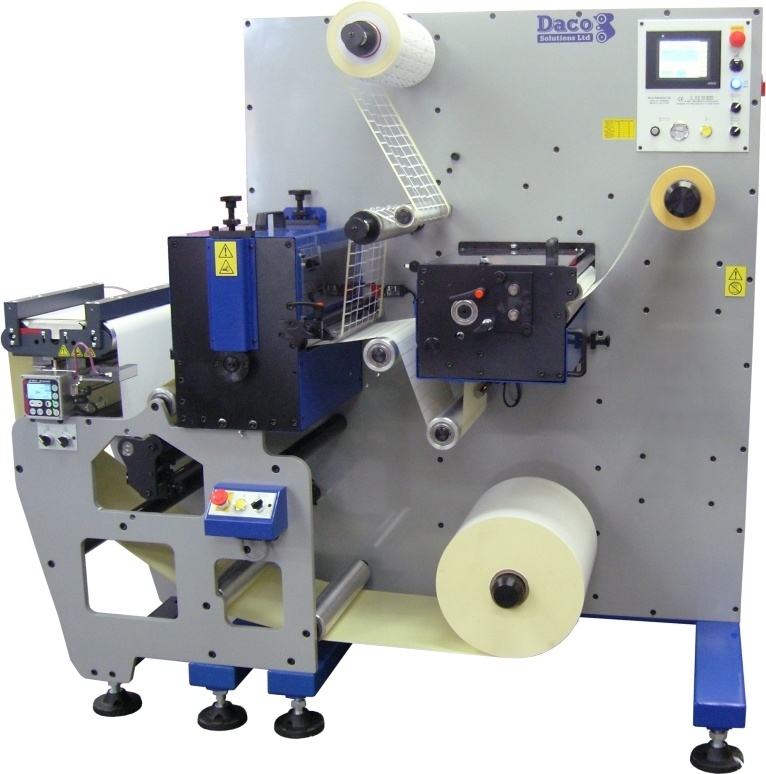 UK label converting equipment manufacturer Daco Solutions, Beverley, is celebrating the design of its 250th machine with a sale to leading label converter, Label Metrics. 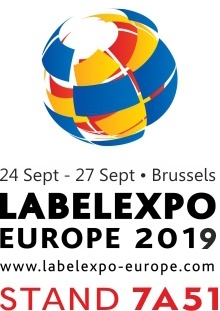 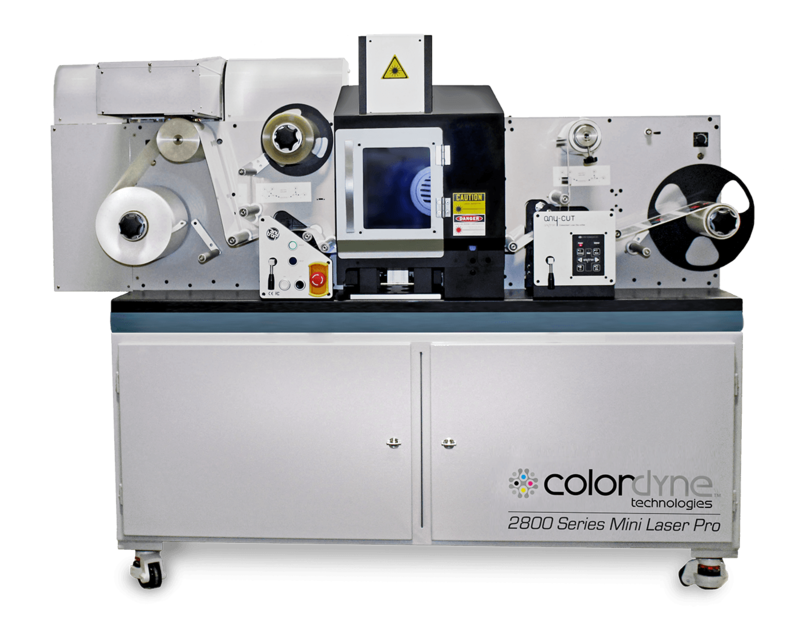 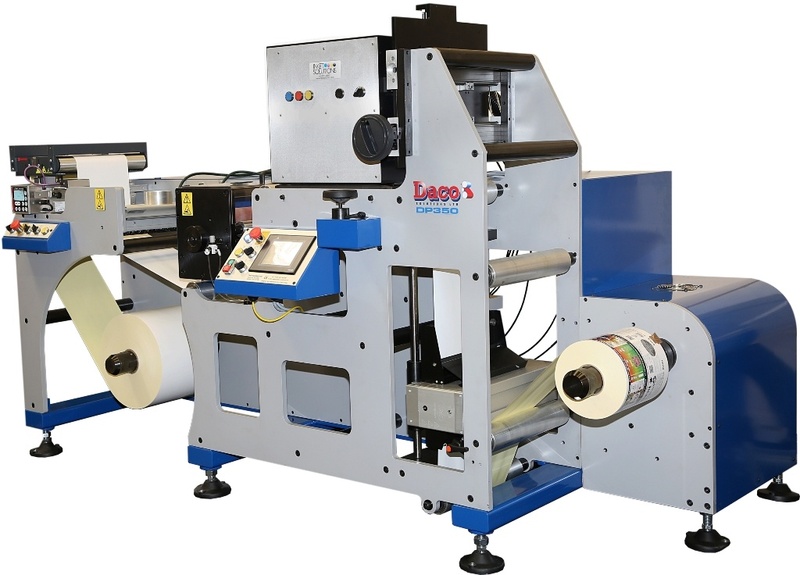 The deal for the new Daco D350 was clinched at Labelexpo Europe 2013 after Label Metrics saw the specification in advance. 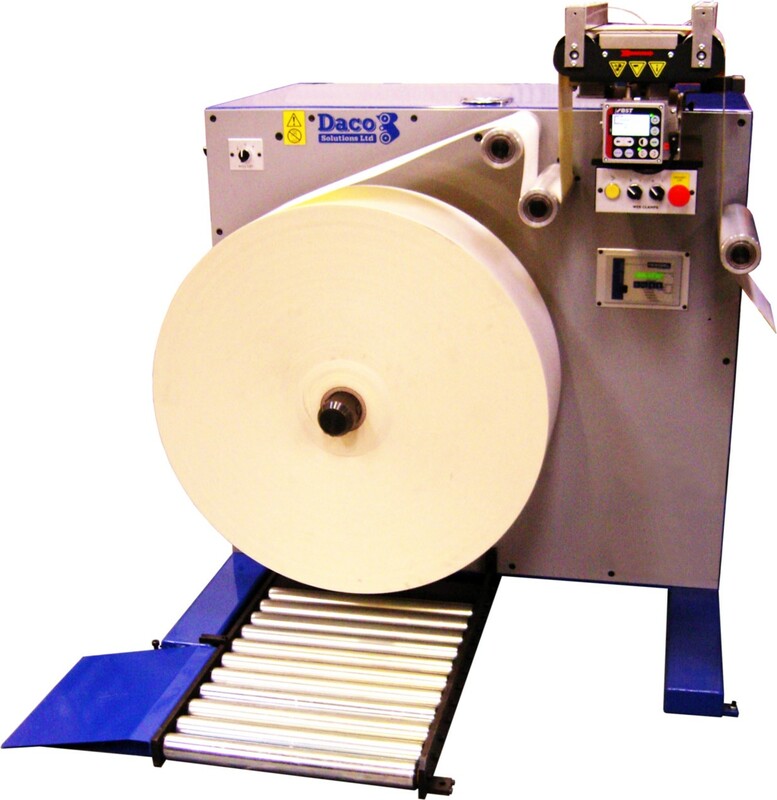 The Daco D350 is a single spindle machine fitted with a Daco U350L 1m (40”) unwind module for immediate higher production output for this class of die cutter. 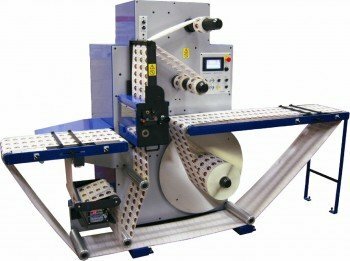 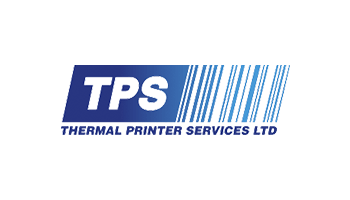 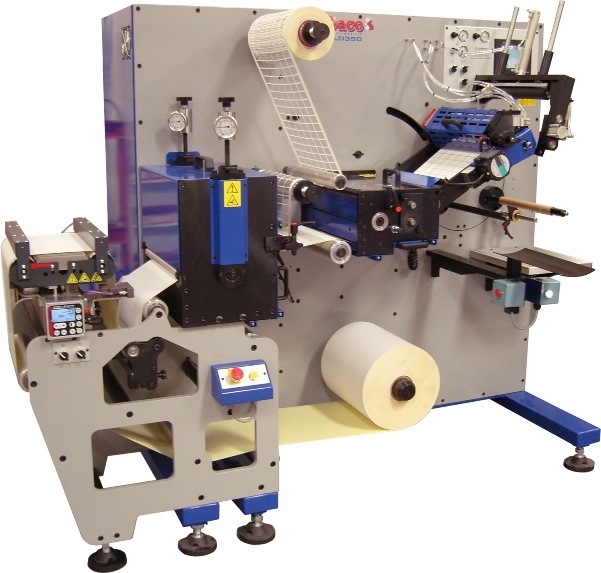 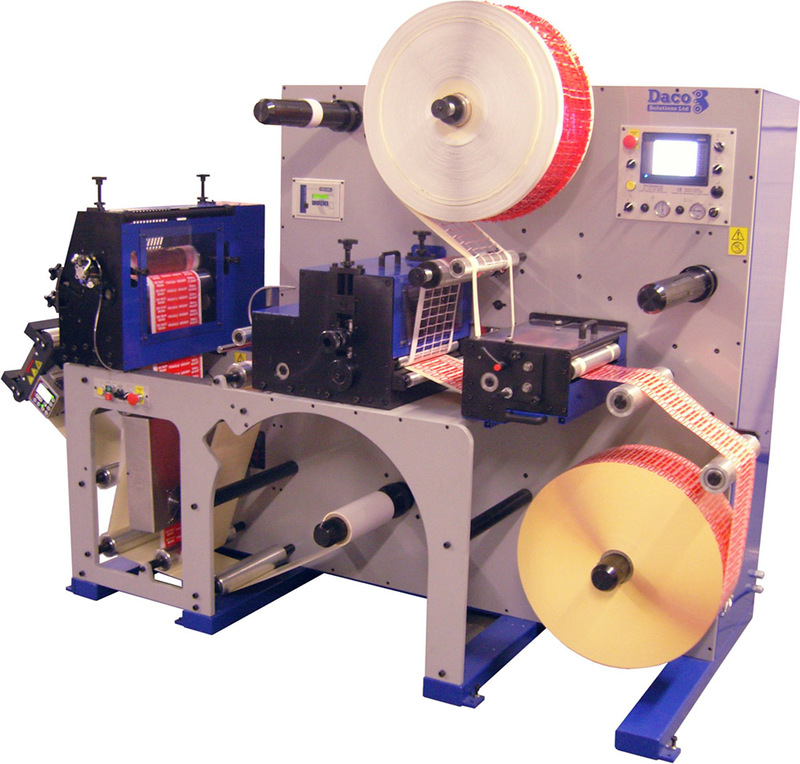 It features an auto cut and apply web advance system with inter-label cutting for applying the web to the cores at the start of the rewinding process. 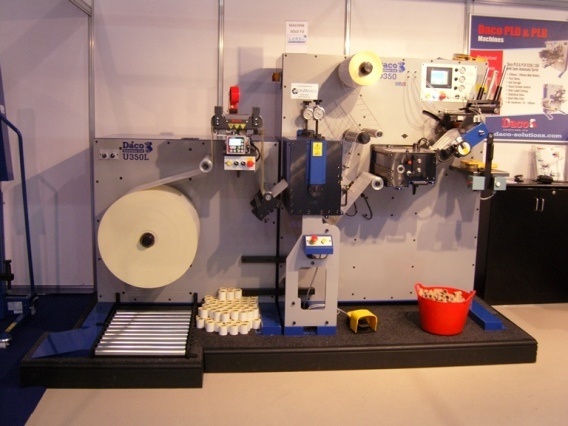 The die station is strong and is supported down to ground level.